“She didn’t know, dumbass. Look at her.” Kane sounded concerned enough that I was momentarily convinced he’d start snapping his fingers in my face to try and check my response. “She’s… I don’t know what to call it… stunned? 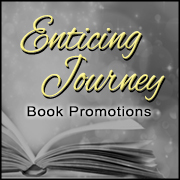 Appalled?”“Intrigued?” Kade hungrily dragged his gaze along my face and neck. 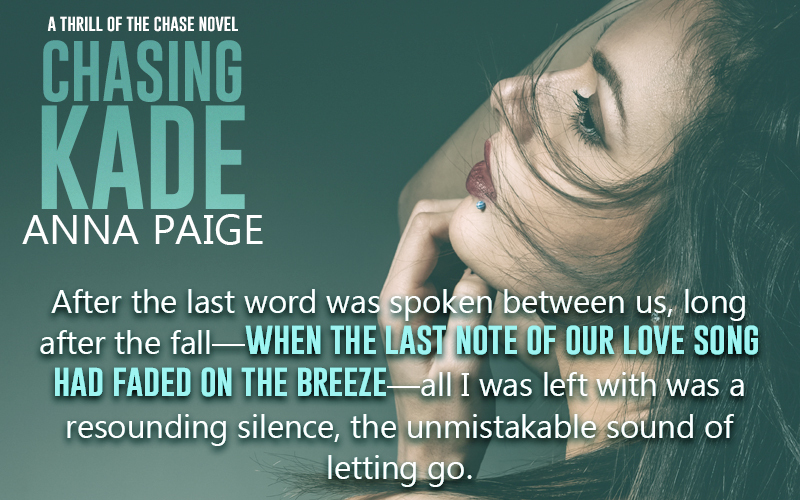 Anna Paige is the author of the Broken series; Broken Ground, Flawlessly Broken, and All the Broken Pieces, as well as the Thrill of the Chase series. 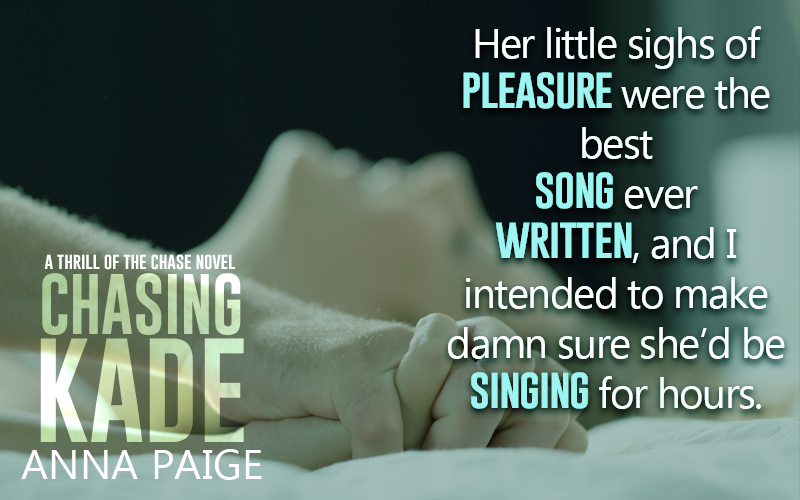 The first TotC novel–Chasing Kade–is releasing in March.She lives in a rural town in North Carolina where the only activity is the rhythmic color change of the solitary stoplight and a very real threat of being carried away by mosquitoes. The only alternative to terminal boredom is writing, making life interesting if only on the page.